1) How can I have a preview button under the from that users can click to view how their pdf will look. Currently I have set it up to automatically download but that gets triggered only after the user clicks the add to cart button. If it can work like the preview pfd button in the settings that would be fantastic. Once the user reviews the pdf he can then continue with adding to card. Thanks for the help and great job with the plugin. The Formidable form MUST save the data before the user can ‘preview’ the PDF. There is no out-of-the-box or built-in method to accomplish your desired functionality. This will require custom programming that we have completed for other users for a reasonable fee. Complete this form if you would like us to provide you with an offer.
. Create a duplicate of the WooCommerce product and change the “Add to Cart” button to “Next”, and change the Formidable form “On Submit” to redirect to the duplicate product and send the Formidable entry_id as a parameter.
. 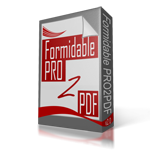 Create a Formidable form to “preview” the original form submission on the duplicated product page using Formidable’s Get a Value from an Entry shortcode to populate hidden fields and a HTML field to preview the text, or display a Formidable View with a “Preview” button. Or, we have also created an image with text overlay and watermark to simulate a preview of the PDF to avoid the user leaving the site to ‘preview’ the document. A download link could be added to the WooCommerce Email Notifications with PHP code to generate a PRO2PDF download link the WooCommerce “Completed Order” and “Processing order” Email notifications. This will require custom development.